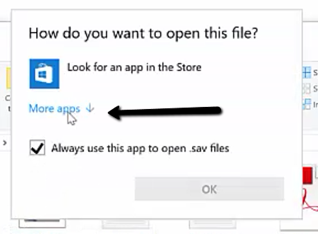 Instructions on how to set SPSS as default program to open .sav (data) files in Windows 10. 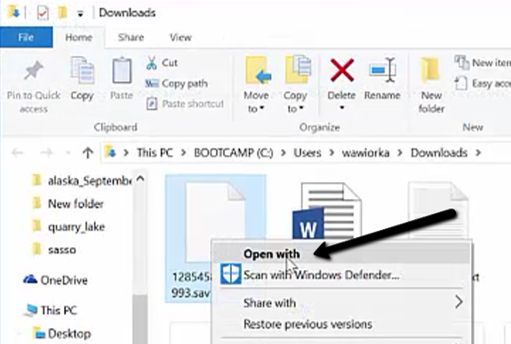 Download the selected data file. 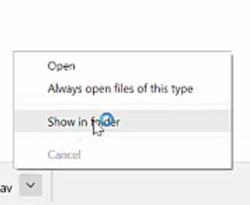 On the right side of the downloaded file in the browser tray, click on the up arrow to expand the file download option menu and select Show in folder. 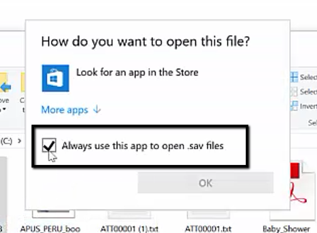 Check the Always use this app to open .sav files box. 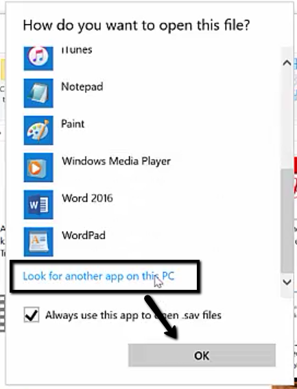 Select Look for another app on this PC > OK. Locate the SPSS program and select it as the default program to open .sav files.